A competitive game in Kiev has swiftly become a cause for concern. The UEFA Champions League final clash between Real Madrid and Liverpool has been built up quite well over the weeks. 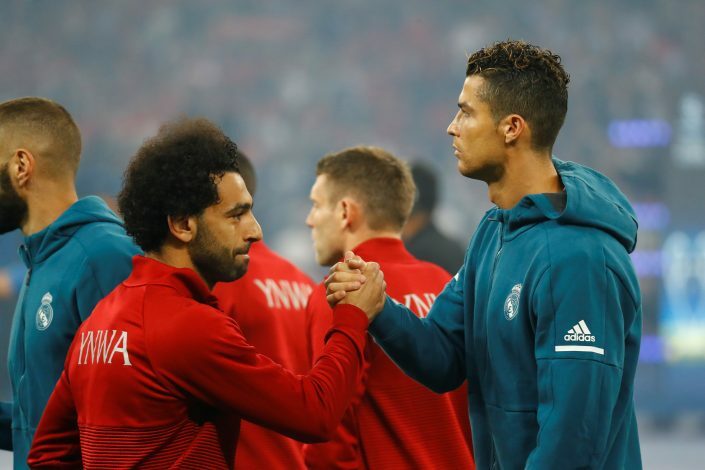 One of the key competitions that supporters were eager to witness was that between star-men Cristiano Ronaldo and Mo Salah. The duo has been in electric form this season, and the Egyptian, in particular, was touted to lead the English team to a possible Champions League triumph. However, it has turned out to be a night of dismay for the player, as a strong clash with Sergio Ramos in the middle of the first-half ensured that Salah had to walk away from the pitch well before any impact could be made. Understandably, he was in tears when being subbed off in what has now been revealed as a possible shoulder dislocation. However, it was the reaction of Ronaldo that will have supporters surprised as well. The Portuguese superstar was quick to reach Salah and pat his head, consoling the forward about the injury. This is undoubtedly a move of great class on part of Ronaldo, as he of all people would know how important it is to be the talisman in an instrumental final. Suffering such an injury is bound to be a nightmare for anyone, and now, supporters will also be concerned about the 25-year-old’s fitness ahead of the World Cup next month. Minutes later, the game encountered another injury, as Carvajal was seen sobbing on the pitch. When the 26-year-old was walking off the pitch, Liverpool supporters were applauding. Say what you will about the competitive nature of football, but when it comes to class, there’s plenty to go around.